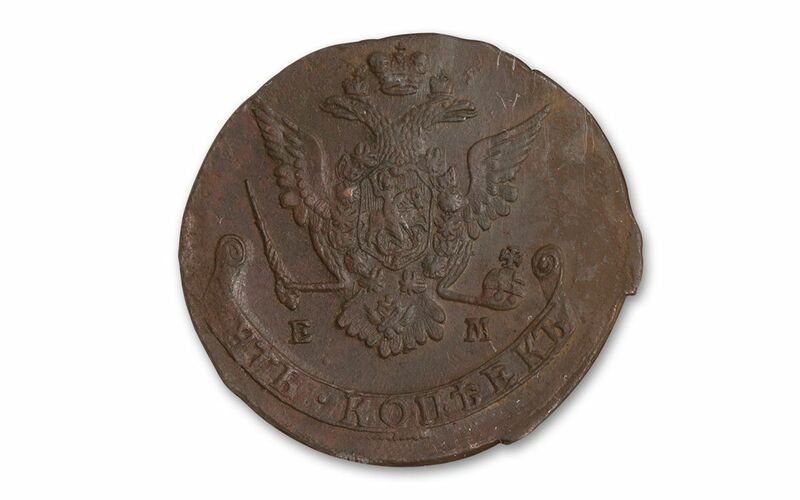 When it comes to classic coins, few are as impressive as this 1763-1796 Five Kopeks of Russia's famous empress, Catherine the Great. During her reign, she was considered the most powerful woman in the world! 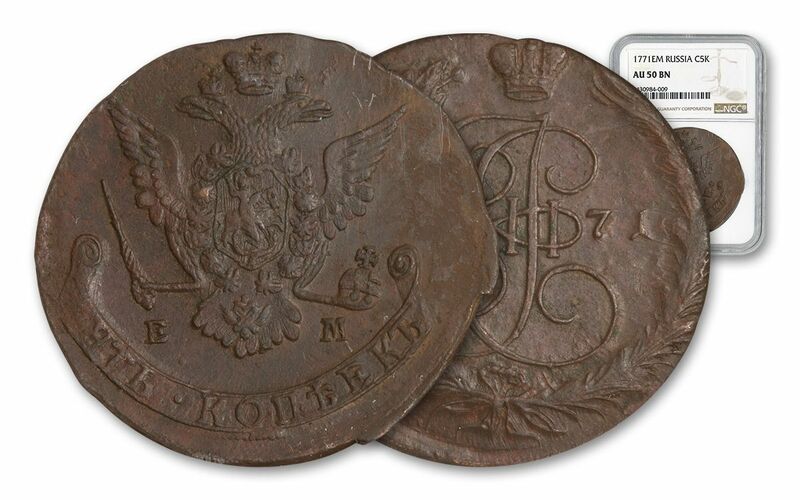 Struck in copper, these massive coins feature the iconic two-headed Russian eagle. 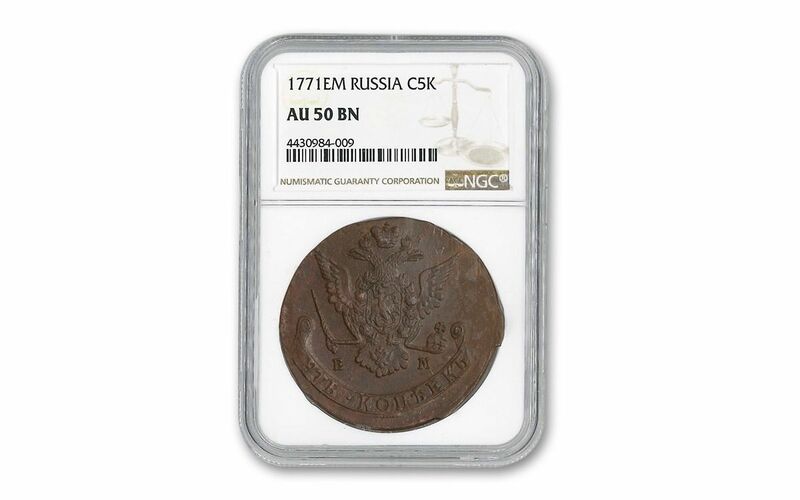 Order yours in About Uncirculated (AU) condition, graded and certified by Numismatic Guaranty Corporation (NGC). Each comes sealed in a protective holder to secure its provenance forever. 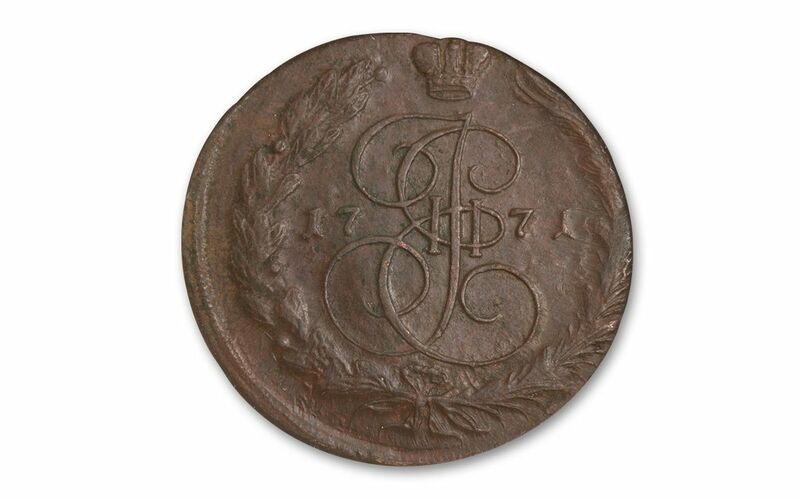 Call now for your great Catherine, and own a piece of world history!